Italian Air Force Airbus A340-500 - 31° Stormo, Ciampino AB - I-TALY, modell i metall. 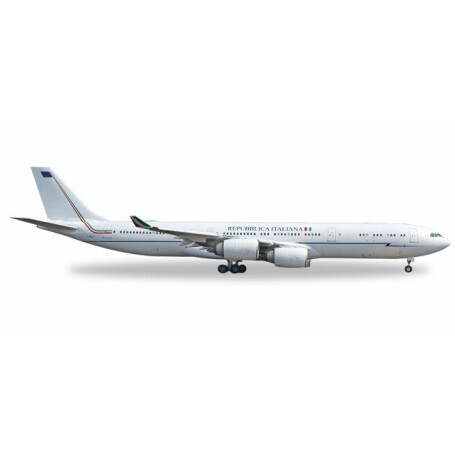 Originally delivered to Etihad Airways, this VIP-configured A340-500 is leased to Italy for transporting the Italian prime minister and other high-level members of government. The aircraft is appropriately registered for its use: I-TALY.